Goku super saiyan 5 (uncontrolled). this pic was made da Prydzanimation on deviantart, all credit gose to him. anyway this is ssj5 Goku from dragonball absalon.. HD Wallpaper and background images in the Dragon Ball Z club tagged: dragon ball absalon goku anime. this pic was made da Prydzanimation on deviantart, all credit gose to him. 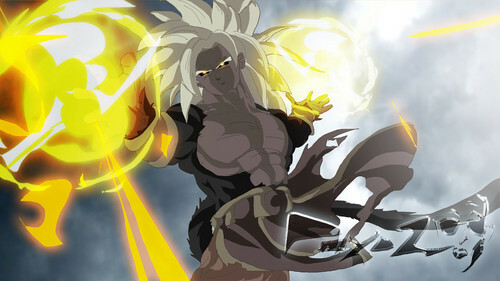 anyway this is ssj5 Goku from dragonball absalon. This Dragon Ball Z photo contains bouquet, corpetto, posy, mazzo di fiori, corsage, and nosegay. There might also be hippeastrum, hippeastrum puniceum, camelia, albicocca giapponese, mei, and prunus mume.